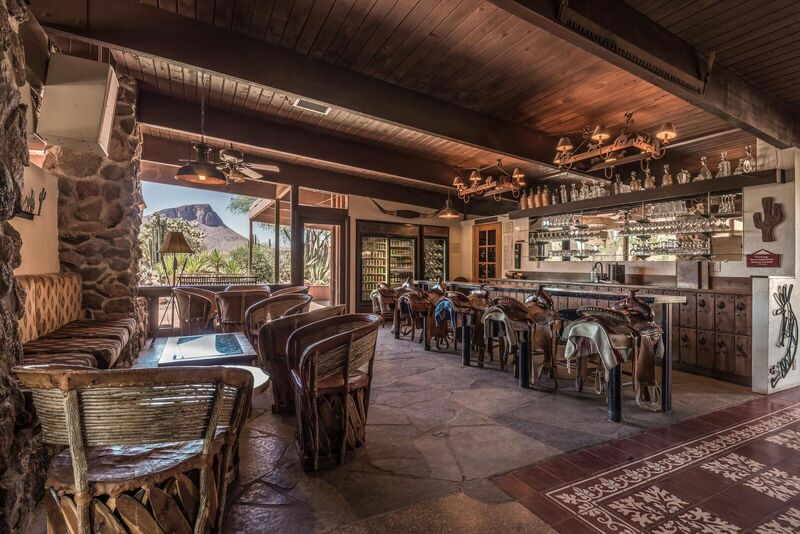 A stunning 3,000-acre Spanish-style ranch, with lush desert adjacent to the Saguaro National Park, where dramatic scenes from “High Chaparral” were shot. 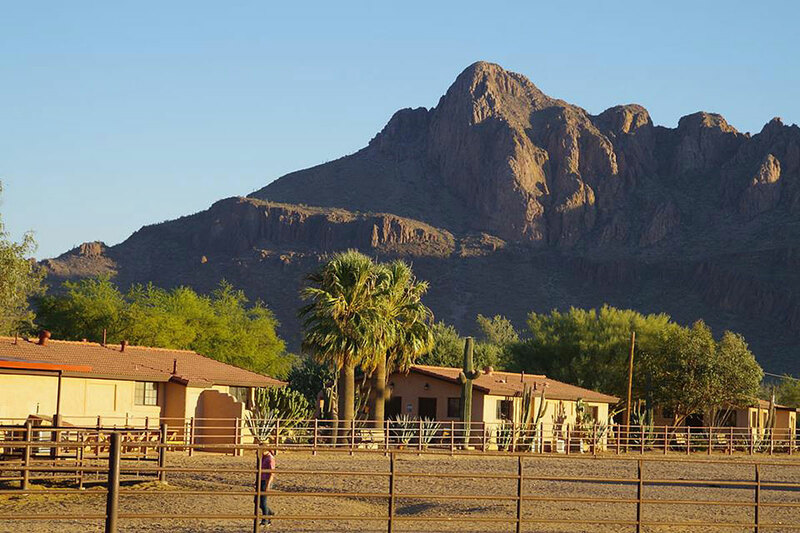 This charming, informal ranch gives you a real feeling of the Old West and the informality is blended perfectly with the comfortsof a top resort.You will enjoy the western-style horseback riding, fine horses, and scores of scenic trails. Scenic rides, fast canters and rides through the desert or up into the mountains offer a choice to suit beginners or confident riders. All-day riding, weekly rodeos, team penning and hayrides are part of the programme. Children 5 and over can go on the trail rides without an accompanying parent.If you get the chance, it’s great fun to watch the Longhorn cattle herd coming in to water.Delicious home cooking is all part of your ranch stay experience and once a week the meals are produced in an outdoors Indian oven. 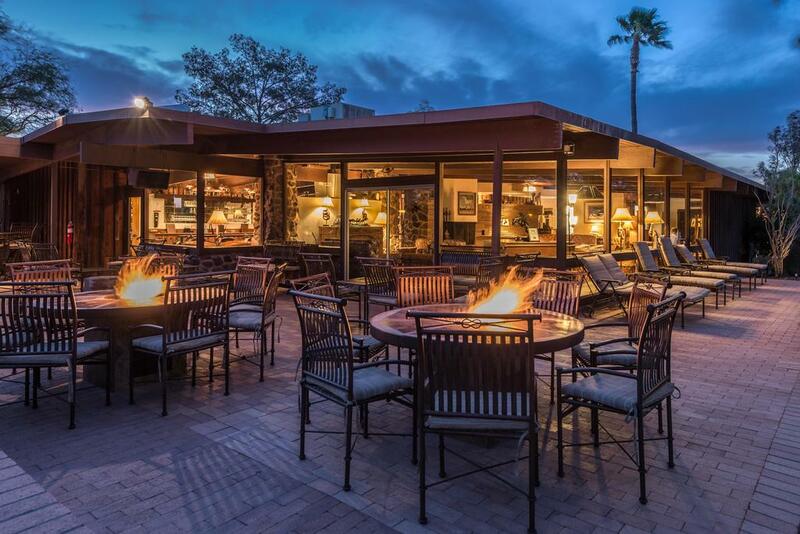 Breakfast is cooked to order, whereas lunch and dinner are usually buffet style.The ranch has a heated pool and indoor hot tub, there are many other activities available to guests including, tennis, volleyball, basketball, pool, library and an amazing cinema room for watching western movies, shuffleboard and for the little ones, a petting zoo. For an extra charge youcan enjoy a massage in the spa to ease any aching muscles.The Happy Hour saloon with western saddles as bar stools is a focal point to discuss the day’s adventures. 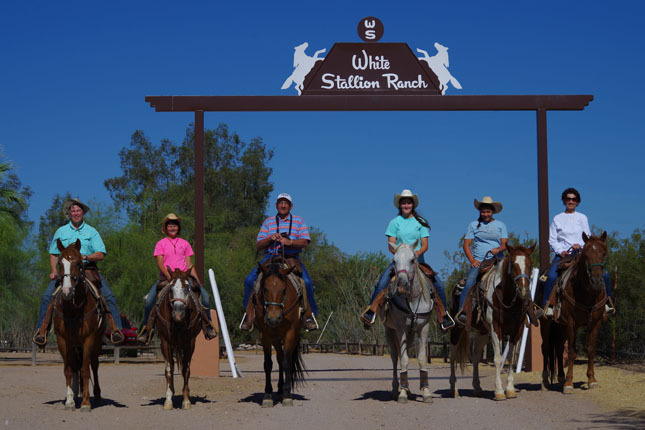 This is a great ranch, which caters for all ages and riding abilities.White Stallion Ranch gives you the freedom to stay as busy as you want or do as little as you like. Either way, you will find a variety of activities from a relaxing nap at the pool to an exhilarating horseback adventure. While horses are central to the ranch, you can make your stay as "horsey" as you like. 39 Casitas and quites, all accommodation with private facilities. Prices are per person, based on a double occupancy for 7 nights. Includes accommodation, meals, most ranch activites, taxes, transfers and gratuities.